It goes without saying that hotel managers play a key role in maintaining the long-term profitability and success of a hotel. Regardless of the operational size of the hotel, hotel managers need to work with different departments to provide unparalleled guest satisfaction. Being a successful hotel manager starts with getting high-quality education. Remember, there are no shortcuts to being successful in the hospitality industry. It’s through a quality hotel management education that you can learn all the necessary hospitality skills. IIHM is preferred by aspiring students as it’s one of the best colleges for hotel management in India. Our mission at IIHM is to ensure every student embarks on a bright career path through the quality education we provide. Learn more about our courses at http://iihm.ac.in/admission-procedure/. Each member in your team counts when it comes to improving the services provided by the hotel. Just like successful hotel managers do, make sure to be frank and friendly with your team members to build more trust and coordination for efficient everyday executions. It takes years of training and experience in the hospitality industry that leads to becoming a successful hotel manager. The initial years call for careful observation and focus on the different aspects of the business such as hotel services, handling guests, and training staff. Hotel employees look up to their managers for advice and work management. 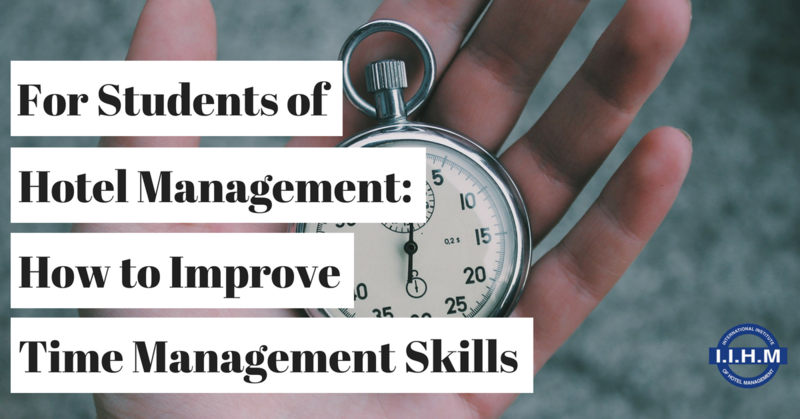 An effective manager assigns work to the right employees at the right time and knows crisis management. The hospitality industry favours and rewards those who upgrade themselves by consistently learning new skills. Apart from identifying problems and resolving them to ensure smooth operation, successful hotel managers achieve success by surpassing competitors through implementation of new trends and developments in the hospitality industry. By being organised, you not only schedule your tasks and complete them efficiently but also set an example for your team members. But at the same time, you, as a responsible hotel manager, need to be prepared for tackling emergency situations as well. Time management is one key skill to excel in the hospitality industry. But how to master this skill? This is one question that concerns most hotel management students. The best way to get started in improving your time management skills is to prepare a checklist. You can either prepare a checklist just for the day or for the entire week. A checklist can help you manage your tasks. You can use your phone’s notepad/memo as a checklist or simply download a checklist app. Make sure to check them off as and when you complete the task. Doing so will give you a sense of accomplishment as well. Using a timer to complete tasks is a good way to improve your time management skills. Using the timer on your smartphone can help you track your progress. Distractions make you lose your focus on the task you’re working on and delay its completion. Get rid of anything that distracts you. While completing assignments or studying, put your phone, tablet in silent mode or simply turn them off. Preparing a plan is crucial to avoid getting stuck or running short on ideas in between a task. Take time to process new information and plan your tasks accordingly. 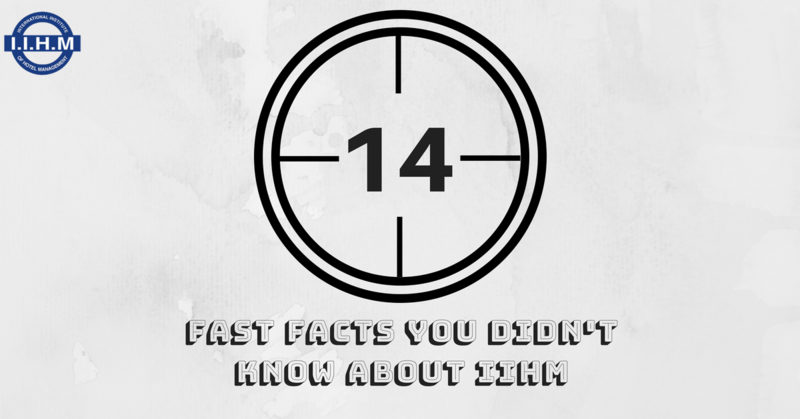 This way you don’t have to revise the information which, in turn, can help you save time. At IIHM, one of the best colleges in Kolkata for hotel management, we ask students to focus on planning ahead so that they can manage their tasks efficiently and on time. Believe it or not, taking breaks to clear your head can help you boost your concentration and efficiently complete your tasks. Taking breaks in between tasks may seem like a waste of time for many, but doing so can help you focus and be more productive. Rewarding oneself after successfully completing a task on time is one trait often overlooked by many. Do something you enjoy or treat yourself with your favourite food items after completing a task on time. Doing this can motivate you to improve consistently. Learn time management and all other skills essential to excel in the hospitality industry at IIHM. Learn more about our admission procedure at http://iihm.ac.in/admission-procedure/. Author IIHMadminPosted on June 26, 2018 July 2, 2018 Categories Best Hotel Management College in IndiaTags best colleges in Kolkata for hotel management, best hotel management college in KolkataLeave a comment on For Students of Hotel Management: How to Improve Time Management Skills? 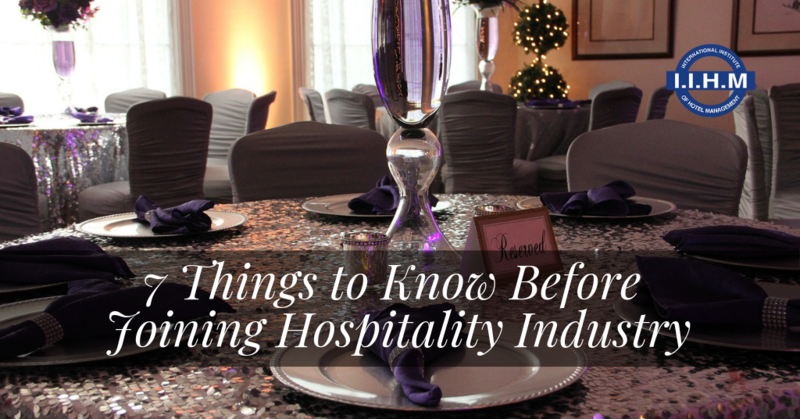 The hospitality industry has evolved and grown as never before. Considering the changing requirement of skill sets in the industry, hotel management students need to stay abreast of all the trends in the industry. IIHM is one of the best colleges for hotel management in India which has a curriculum that is on par with the industry demands. At IIHM, students are meticulously trained to be valuable assets in the hospitality industry. IIHM, in collaboration with The Edinburgh Napier University, UK and tie-up with University of West London, London, offers students a degree in hospitality management which is valuable all over the world. Students can study in the UK at the Edinburgh Napier University, University of West London, London or at KBU campus in Bangkok. IIHM is the largest hotel school chain in International Hospitality Management. IIHM has its campuses spread across India in cities including Kolkata, Hyderabad, Ahmedabad, Jaipur, Bangalore, Pune, and Delhi. IIHM organises Young Chef Olympiad which is the biggest culinary event in the world. Young, aspiring chefs from 50 different countries participate in the event every year. IIHM graduates have been placed at some of the highly renowned hotel chains across the world. IIHM offers international internship – a one-of-a-kind opportunity for students to enhance their skill set by gaining a hands-on experience in the international hospitality industry. The faculty at IIHM comprises of over 300 Indian and international tutors, professors, and mentors. With a multicultural environment, IIHM invites students from South Africa, Singapore, Bangladesh, South Korea, Armenia, and Thailand. IIHM organises a 10 day trip to the vineyards of France, Spain, and Italy for an educational tour. Deserving students are selected for the trip and all the expenses are carried by the college. IIHM offers a dual degree advantage. This is a unique opportunity for students to get a national as well as an international degree. IIHM has been conferred with several prestigious awards, including the awards for “Best Education Brand 2017” presented by Economic Times. IIHM is one of the few institutions in India to provide a certification in wine studies. Apart from the academics, IIHM also embraces the passion of students. At IIHM, you get the opportunity to learn all the necessary skills that are valued in the hospitality industry. Learn more about us at http://iihm.ac.in/about/. Hotel managers have one of the most interesting job roles. To ensure a smooth customer experience, they forward new instructions to the operation team including the chefs, front office executives, housekeeping staff, and catering department. Hotel managers prioritise guest satisfaction over everything else. It entirely depends on hotel managers to improve the staying experience of the guests at the hotel. 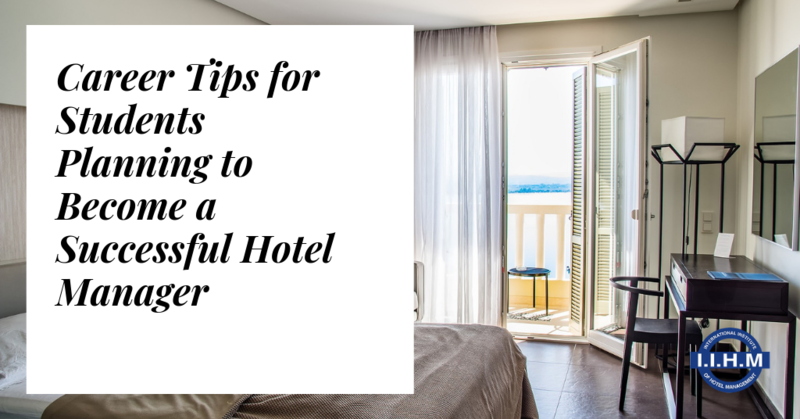 Hotel managers also need to look into any issues that the guests face right from the check-in to completing their stay at the hotel. Chefs have a major role in improving guests’ experience by preparing tasty and healthy recipes. 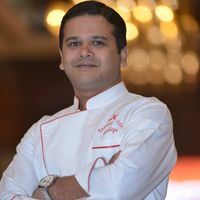 Hotel managers may request chefs to prepare special recipes for special occasions such as guests’ birthdays and anniversaries and even the hotel’s anniversary. Being a chef, you can work for renowned international hotel chains. Chefs even get the opportunity to travel overseas, meet celebrities, and get featured on reality TV shows. With an in-depth knowledge of hotel management, you can either become an individual hotel owner or work with other hoteliers to run a chain of hotels or restaurants. Being a hotelier, you can build a good rapport with celebrities, politicians, and other prominent personalities once you have them as guests. You also have the opportunity to win awards as a successful hotelier in the community or for high-quality services offered in your hotel. After gaining experience in the hospitality industry, you can choose to become a teacher or a professor at a hotel management college. You can share the years of experiences you’ve had and teach your hospitality skills to students to help them succeed in the industry. Hotel management graduates have the option of pursuing their career in the retail sector as well. Some of the areas in the retail sector suitable for hotel management graduates include malls, reception, and back office. By joining IIHM, you can learn all the necessary skills that are highly valued in the hospitality industry. Our faculty at IIHM provide industry-relevant knowledge to our students. We also provide practical training sessions and offer international internships to give students a hands-on experience in the industry. To know more about our admission procedure, check http://iihm.ac.in/admission-procedure/. 1. Is the Institute Accredited and Affiliated with national or international bodies? This is the first thing you need to check before you choose the best hotel management college in India. It’s because, without proper accreditation and affiliation, your qualification won’t be of any value. See if the course and the curriculum offered by that college are at par with the industry standards or not. International and national affiliations add more value to the degree that you will receive. This is important to check. See if the HM college provides placement assistance or not. If yes, then who are the recruiters? And what are the placement stats of the college? Check their website or just get in touch with their alumni. You may even try talking to the current students to evaluate the placement scenario. 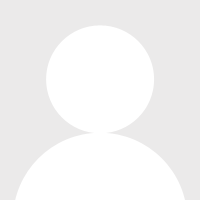 Before selecting any HM college, check their course content. The quality of academics matters a lot. Check the courses offered by them. Also, check the course content. 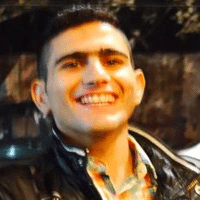 Is the course industry friendly? Does the course give any scope of gaining hands-on experience in the industry? Find out if the college offers practical hours or not. This is important. Also, find out whether they offer internship opportunities or not. At International Institute of Hotel Management (IIHM), they provide our students with the chance to study at the University of West London. This is one of the most renowned Universities in the UK. Here, you will also get the scope to work for at least 20 hours every week. The faculty is an important part of the college along with the course and the curriculum. They are the one who will be guiding you and shape your career. See if they are industry experts or not. Are they qualified enough? A strong faculty will help you gain both professional and technical skills. 5. Do they have Practical Laboratories? And along with the labs, are the classes well equipped? How is the infrastructure? These are required to enhance your learning experience. 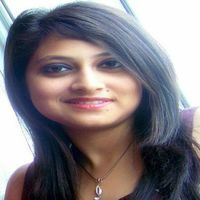 These pointers will help you choose the best hotel management college in India. If you are looking for HM College in Kolkata, check IIHM. Reception is where the journey of the guests starts. Hotel managers insist on training the staff at the reception desk to speak with a positive and enthusiastic tone. IIHM is the best hotel management college in India that offers the best hotel management courses. Guests like the personal touch when they are greeted by their name throughout their time in the hotel. Efficient hotel managers make it a must for the employees to remember guest names. Hotels with international clientele should greet customers in foreign languages. Efficient hotels managers insist in using foreign language when appropriate. Offering luggage assistance to arriving guests is important. This is a must under the watch of an efficient hotel manager. 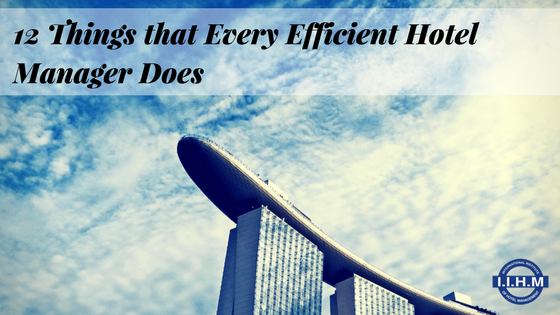 Successful hotel managers walk that extra mile to create personal experiences for their guests. Many managers have started creating selfie zones, with interesting backdrops to create memorable experiences for digitally savvy customers. Providing superior care to guests is what hotel managers focus on. They strive to provide extra care for the guest such as help them relieve their stress with introducing services like aromatherapy. Hotel managers know how expressing gratitude to customers make them feel special. They train associates to thank their guests throughout their stay. Hotel managers do the best they can to make guests feel comfortable. Offering infused welcome drinks to guests is a great way to show affection and welcoming them. Guests love it when their pets are treated with love and care. Considering guests’ pet a part of the family is one good way to have the customers talking about the hotel in a good way. Recording guests’ (especially repeat guests) preferences is a good way to treat them more personally each time they visit the hotel. Hotel managers ensure that the vacant rooms are regularly cleaned. A successful hotel under an efficient hotel manager hosts parties for special events such as guests’ birthdays and wedding anniversaries. The hospitality industry welcomes you with a bright and a rewarding career. Pursue a hotel management course at IIHM to prepare for the growing industry that awaits you. 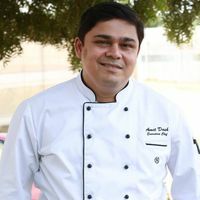 Learn more about us at http://iihm.ac.in/about/. Customers are always the first priority of hotel restaurant managers. They are always focused on improving customer experience and the quality of food. As hotel restaurant managers supervise the hotel’s main restaurant, they can set new guidelines and instructions, mainly to improve the processes. Although restaurant managers supervise the work in a hotel’s restaurant, they have several tasks to perform. One common and important task of a hotel restaurant manager is to complete paperwork, including work hours, taxes, and wages. Restaurant managers can assign menu prices by working with the chef. By building a good rapport with the chefs, managers can analyze the overhead costs of the recipe ingredients and labour. Restaurant managers may even change menu price from time to time. Managers who work for chain hotels’ restaurants often get the opportunity to travel to different locations. Hotel restaurant managers enjoy several perks, including reduced rates on hotels when they are on vacation or free on-site expenses. Efficient and successful restaurant managers always build a healthy relationship with the staff. Such managers are able to create a positive and an enjoyable work environment which, in turn, reflects on the quality of the service and success of the restaurant. Restaurant managers are much of a team leader, responsible for the smooth operation of the restaurant. Hotel restaurant managers need to motivate the staff to make them productive. 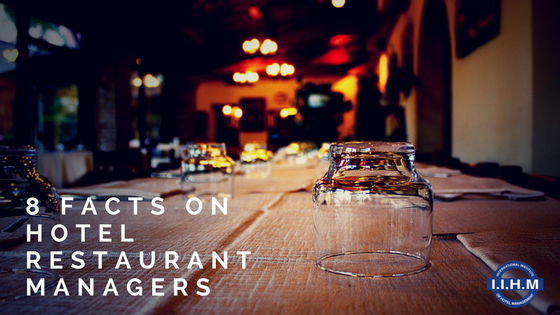 Passionate and hard-working restaurant managers can grow by leaps and bounds throughout their career. Do you wish to be another success story in the hospitality industry? IIHM, one of the best colleges for hotel management in India, can make your dream come true! 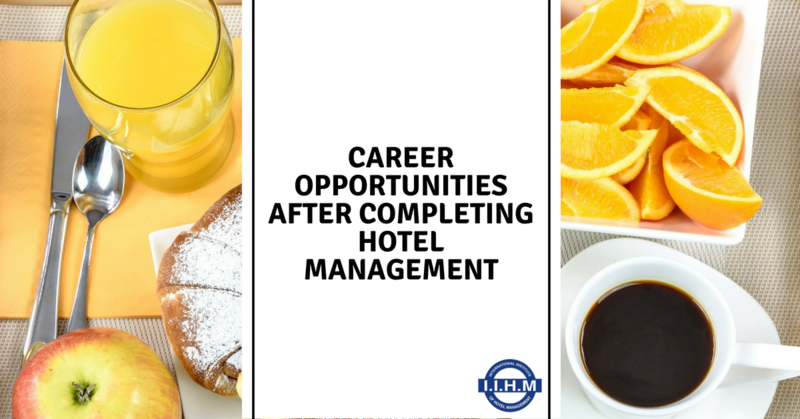 We at IIHM provide consistent guidance to help our students embark on the hospitality career and be successful. Apart from providing placements at top hotels, we also give our students the opportunity of an international internship. Learn more at http://iihm.ac.in.